Hi there @ tk13_sj! Not to far from you. In san Francisco. Would love to get some sort of group together. 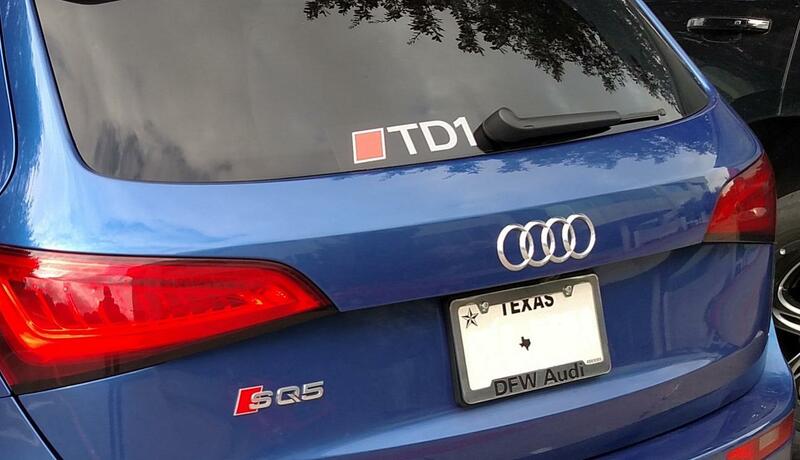 It took me about a month to get personalized plates after first request was denied. 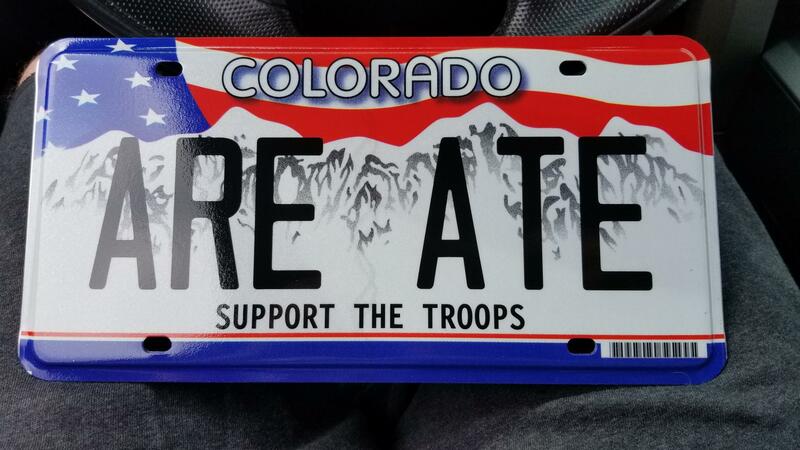 Be patient and I'm sure you'll be very happy when you get those plates in the mail. Would love to hook up with any other R8 owners in bay area for a drive. What color is your R8? V10 or v8? Last edited by Angel Assassin; 04-05-2019 at 11:54 AM. How long did the first request take? I've seen some more online comments saying it takes up to 18 weeks. I've been looking on FB for other R8s in the area but no luck. I may have to create a group and see if others would join. Mines the Matte Grey "exclusive edition", Audi made 20 of them in the V8 and 30 in the V10 for that year (2012). I have one of the V8s with an aftermarket exhaust, but I don't know where it's from LOL (bought it like that). The first plate request took about 6 to 8weeks before i received notice that it was declined. 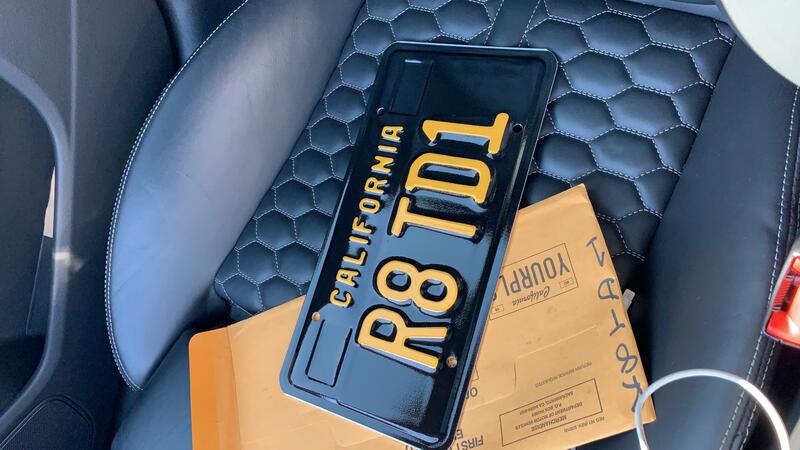 The 2nd request took just about the same amount of time but as soon as I got the notice that it was approved, I got my plates in the mail about 2 weeks after. U will have to make an appt with DMV to pick them up. Nice color!! I'm Sure you're anxious to get the plates..what does your plate say? Last edited by Angel Assassin; 04-05-2019 at 08:55 PM. I love it! Kind of reminds me of the Donner Party. R8 with custom CF wheel and custom diamond interior trim! After waiting what seems like years, got my custom CF wheel and shift knob custom!